Are you battling with reoccurring blackheads? Looking for safe and effective blackhead removal tools to extract an annoying blackhead? Want to learn how to stop blackheads from coming back? Well, you’ve come to the right place! We’ve researched and tested the best blackhead removal tools, treatments, and skin care products available to bring you this complete guide to blackhead removal. Before we get into effective tools to remove and prevent blackheads, it’s important to understand exactly what blackheads are and how they are formed. Our skin is covered in tiny little openings on the surface called pores. Sometimes our pores can become filled (or clogged) with dead skin cells and sebum. A blackhead is formed when an open pore becomes clogged. As a result of the pore remaining open, the skin proteins and oils that are trapped inside of the pore turn black as a result of being exposed to air through a process called oxidation. Typically, only the contents at the surface of the clogged pore turn black (hence the term black-head). Alternatively, if a clogged pore remains closed and the contents are not exposed to oxygen, then a whitehead can eventually form instead. Thus, the two most common causes of blackheads are actually dead skin cells and sebum or oil. As a result, oily skin types are especially prone to blackhead formation. Our skin produces excess oil + sebum as a result of hormonal changes, poor diet, and excessive cleansing of the skin. Oftentimes, oily skin types will use harsh soaps and powerful astringents in an effort to remove excess oil from the skin, but this can actually backfire. These harsh soaps not only remove the excess oil, but they also strip your skin of its natural, protective oils. 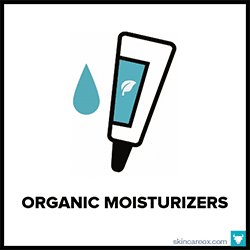 In an attempt to replenish the lost moisture, your skin will actually overcompensate by producing more oil. Blackheads can also be caused by using skin care and makeup products which contain comedogenic ingredients (i.e. ingredients that can clog the pores). A compound is considered “comedogenic” if it is small enough to get trapped inside of our pores. With the right tools and technique, blackhead removal can be safe and effective. The biggest risk with blackhead removal is overly aggressive picking. For some people, removing blackheads can become an obsessive or even addictive activity. Handy blackhead removal tools can create the temptation to clear every single clogged pore on your face. Too much picking can cause scarring, dark spots, and even promote breakouts. All of which are harder to treat than the actual blackhead itself. Additionally, blackhead removal is temporary. Unless you adopt a skin care routine designed to prevent blackheads, your blackheads will return time and time again. This leads to more picking and more skin damage. Check out our guide to blackhead prevention at the bottom of this page for more information on how to stop blackhead formation. Unfortunately, many popular blackhead removal techniques and products can be extremely damaging on the skin. Things like pore strips, homemade glue masks, abrasive scrubs, and poorly designed blackhead removal tools can cause bruises, strip away healthy skin & oils, and even create scars on the surface of the skin. The purpose of this guide is to provide a list of safe, gentle, and effective blackhead removal tools and skin care options. You’ll learn lots of tips & tricks on how to remove and prevent blackheads without damaging your skin. With the right tools (and a little self-discipline), you can achieve beautiful, clear, and blackhead free skin in no time! The first step to clearing blackheads is to find the right blackhead removal tool. Blackhead removal tools come in a variety of shapes and sizes—each designed to tackle a different problem. 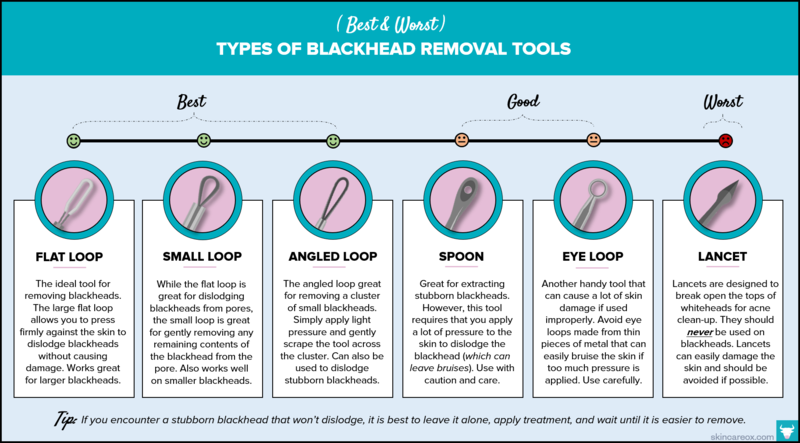 Unfortunately, many tools that are marketed as “blackhead extractors” are actually designed to treat whiteheads (acne) and shouldn’t be used on blackheads. Because blackhead extraction requires that you apply pressure to the skin, using the wrong tool can result in skin damage including bruises and scars. In addition to choosing the best shaped tool, there are a few other things that you should look for in a good blackhead removal tool. First, find a tool that is made out of stainless steel. Stainless steel is a sturdy material that won’t bend when pressure is applied. 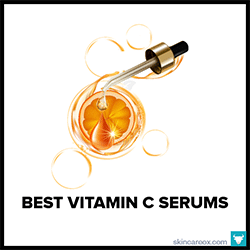 It also helps to prevent the growth and spread of acne-causing bacteria. Next, only use tools with thick metal loops. Thin metal loops can easily puncture the skin when pressure is applied. The thicker the loop, the less likely it is to cause damage to the skin. We researched & tested several brands of blackhead removal tools and found these four blackhead removal tools to be the safest & most effective. Tweezerman is known for their high-quality beauty tools and this stainless-steel blackhead extractor is no exception. It’s a two-sided tool which features both a small loop and an angled loop. Both of these shapes will easily remove blackheads without damaging your skin in the process. To use, place the small loop over the blackhead and gently apply pressure to one side of the blackhead (repeat on the opposite side if blackhead won't dislodge). Use the larger angled loop for larger blackheads or blackhead clusters. An amazing blackhead extraction tool sold by the queen of blackhead removal herself: Dr. Pimple Popper (aka Dr. Lee). Dr. Lee is a board-certified dermatologist who became famous for her blackhead extraction videos. This stainless-steel blackhead extractor features a large flat loop on one end and a small angled loop on the other (for acne). The large flat loop is perfect for all blackheads---small or large. Simply place the loop over the blackhead and apply gentle pressure to each side until dislodged. Can't decide which blackhead removal tool will work best for your skin? Then, buy them all! This kit is a best seller on Amazon and features five two-sided tools for a grand total of 10 different blackhead extractor shapes. This tool kit is made from stainless steel, the tools are decently sturdy, and it is very affordable. Remember, always use gentle pressure on the skin and never use the lancet (too damaging on the skin). See our best & worst blackhead removal tools guide above for tips on which extractor shapes are best for blackheads. A sturdy stainless-steel blackhead removal tool that comes with three different extractors: a small loop, an angled loop, and a lancet. The angled loop caps onto the lancet for safe storage. While we do not encourage the use of lancets on acne or blackheads, this lancet is expertly designed to be a bit safer than traditional needle-like lancets. For most blackheads, the small loop tool will work perfectly. Remember, don't go overboard on a stubborn blackhead. Instead, apply treatment and wait until it is ready. Ready to remove those pesky blackheads? Thoroughly wash your face with a facial wash. Ideally, you’ll want to use a face wash that is designed to treat blackheads and acne. Apply a warm compress: Applying a little heat to your face is a great way to open pores. Heat causes our skin to sweat; thus, opening the pores. You can apply heat using a simple warm compress. 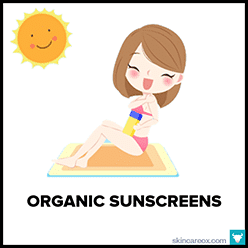 Simply, soak a cloth or towel in warm water and gently press onto to the skin for 3-5 minutes. Use a facial steamer: Facial steamers are also great at using heat to open the pores. All you have to do is hold your face over a facial steamer designed for treating blackheads for 5-8 minutes. Check out our top facial steamers for blackhead removal below. Apply a clay mask: Clay masks help to unclog junk from our pores in a different way. When you apply a clay mask, the clay dries and then gently pulls dirt, dead skin, and oil from the pores. We’ve created a list of our favorite masks and exfoliators for blackhead removal below. Toners help to remove excess oil, dirt, and bacteria that may remain on the skin after cleansing. A good anti-blackhead and acne toner will also soften the pores and help to dislodge deep blackheads. To use, soak a cotton ball with the toner and apply to your face. View our list of the best anti-blackhead & acne toners below. Using your blackhead removal tool, place the tool over the blackhead and gently apply pressure to one side of the blackhead until it is dislodged. If the blackhead is not released, gently apply pressure to the opposite side. When the blackhead is released, gently press down and move the tool across the top of the blackhead. If the pore is still clogged, repeat this step until the pore is clear. Do not apply excessive pressure to release a stubborn blackhead! This can damage and irritate the skin. Instead, apply a toner to the blackhead (or a 1:1 mix of apple cider vinegar and water) and try again in a few minutes. If the blackhead still won’t dislodge, then try again in a day or so. Once complete, wash your face again and apply a solid blackhead or acne treatment. For best results, use a blackhead or acne treatment that is designed to balance your skin’s oil production and fight acne-causing bacteria. This will help to prevent future blackheads. While blackheads can easily be removed via the extraction process described above, your blackheads will continue to return unless you adopt a skin care regimen designed to prevent blackheads. Remember, the two main causes of blackheads are dead skin cells and excess oil. A great anti-blackhead skin care routine will include products capable of gently removing dead skin cells, dissolving excess oil, balancing your skin’s oil production (to stop overproduction), fighting acne-causing bacteria, and maintaining clear pores. While that may seem like a lot to ask from your skin care routine, maintaining a blemish free face is actually much easier than it sounds! One simple way to prevent blackheads is to use a clay mask or exfoliant at least once per week. These products literally draw out any impurities from your pores that may cause future blackheads. Another good tactic is to look for cleansers, toners, and moisturizers which contain blackhead fighting ingredients. There are many natural ingredients which work wonders to absorb & balance oil production as well as slough away dead skin cells. 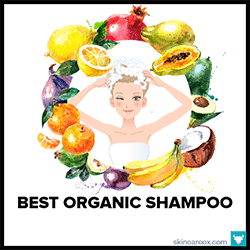 Some of the best ingredients include salicylic acid, alpha & beta hydroxy acids, honey, turmeric, clay (like bentonite clay, French green clay, Fuller’s Earth), charcoal powder, tea tree oil, neem oil, jojoba oil, green tea, witch hazel, and apple cider vinegar. If you suffer from acne as well as blackheads, then you’ll also benefit from products which contain the above-mentioned ingredients as well. Below you will find our recommendations of the best products for fighting blackheads, whiteheads, and acne. 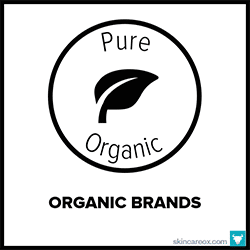 We carefully researched and tested each product to ensure that they are effective, contain strong anti-blemish ingredients, and avoid harsh chemicals and preservatives which may further irritate the skin. These products include face washes, toners, clay masks, gentle chemical peels, facial steamers, and treatments. Enjoy! A good facial cleanser for blackheads will contain oil-busting ingredients like tea tree oil, rosemary, salicylic acid, witch hazel, and gentle exfoliating enzymes. You’ll want to avoid cleansers which contain harsh soaps and ingredients like sodium lauryl sulfate (SLS). 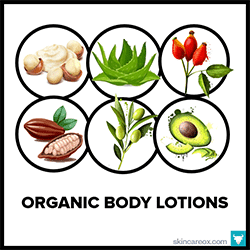 These strong chemicals can strip your skin of its natural oils and actually cause your skin to over-produce oil to compensate for the dryness. That’s why we highly recommend all-natural and gentle facial cleaners for blackhead-prone, oily, and acnegenic skin types. Salicylic acid works great to eliminate and prevent blackheads by clearing dead skin cells and oil from clogged pores. This gentle cleanser is packed with anti-bacterial and pore-clearing ingredients like willow bark (salicylic acid), tea tree oil, burdock, turmeric, neem, and rosemary. For best results, use twice daily. Gently exfoliating the skin to remove dead skin cells is the key to eliminating blackheads; however, you don't want to dry your skin out as that may cause excessive oil production (leading to more blackheads!). This mild exfoliating soap provides 3-in-1 treatment for blackheads: anti-bacterial agents like honey, exfoliating enzymes from pumpkin & tomato paste, as well as oil-balancing ingredients like almond oil & camellia seed oil. A great oil-fighting natural cleanser made with ingredients with deep pore cleansing abilities. Tea tree oil and rosemary work to clean excess oil on the surface of the skin while organic algae and cypress oil work to clear clogged pores. It also contains jojoba oil to help replenish and balance your skin's natural oils. Jojoba is a waxy substance which mimics our own sebum without causing excess oiliness. A fantastic daily cleanser for oily skin types. Oily skin tends to be more prone to blackhead accumulation, so keeping your skin's oil production balanced is a great way to prevent blackheads. This natural cleanser gently removes excess oil from pores while balancing your skin's pH to keep future oil production in check. Star ingredients include aloe vera juice, lavender, lemon balm, neem, rosemary, witch hazel, and peppermint. One of the absolute best ways to prevent blackheads is by using an exfoliating facial mask at least once per week. There are three good ways to exfoliate: clay masks, chemical masks, and facial scrubs. Let’s start with clay masks. A good detoxifying and exfoliating clay mask will contain ingredients that are powerful enough to lift dead skin cells and excess oil from deep within the pores. The best ingredients to look for are clays (like bentonite clay, French green clay, white clay, pink clay, rhassoul clay, and Fuller’s Earth), charcoal powder, green tea powder, turmeric, and honey. You can even make your own clay mask at home. Simply purchase a pure clay powder and add your own ingredients like charcoal powder and green tea powder. Check out our DIY clay mask suggestion below. Another good option is to choose a chemical exfoliant made from fruit acids (alpha-hydroxy and beta-hydroxy) and salicylic acid. These acids can gently dissolve dead skin cells and any grime that may be lurking within our pores. Again, it is best to avoid powerful acids and chemical peels that may irritate the skin and remove your natural oils. A good chemical exfoliant will be made with fruit acids and enzymes from natural sources like papaya, pineapple, pumpkin, citrus, and apples. The last option for exfoliation is a gentle facial scrub. A facial scrub is made from tiny exfoliating pieces that physically scrub away dry, dead skin when massaged onto the skin. It is best to avoid facial scrubs that contain rough abrasives (like coconut pieces, sugars, and large salts) because they can cause microscopic tears & scars on the surface of the skin. A gentle scrub is all you need to remove any loose dead skin that may clog your pores. Look for scrubs that contain fine powders like oat flour, almond powder, and kaolin clays. This mask contains everything that blackhead-plagued skin needs. Natural clays like bentonite, Moroccan rhassoul, and white clay work to absorb grime from clogged pores (making it easier to extract blackheads). Honey, matcha green tea, echinacea, and coconut milk powder reduce inflammation, kill bacteria, and detoxify the skin. Use once per week for maintenance or right before a blackhead extraction. A budget-friendly way to eliminate and prevent blackheads is to make your own homemade pore-clearing mask. Mix 2 tablespoons of a high-quality bentonite clay powder with 2 tsp of organic matcha green tea powder. Add 2 tablespoons of apple cider vinegar and mix until smooth. You can also add a 1/4 tsp of honey to treat active acne infections. Let the mask sit on your face until almost dry and rinse. A simple, effective, and affordable facial exfoliator which contains a ton of fantastic blackhead preventing ingredients like kaolin clay, lemon peel, and sea kelp. This scrub gently unclogs pores while removing excess oil. Sea kelp and aloe are very hydrating and help to ensure that your skin is soft and moisturized after each use. Can be used up to three times per week. Another yummy mask that features blackhead and blemish fighting ingredients like charcoal, rhassoul clay, honey, and fuller's earth clay. This mask can either be left on for up to 15 minutes (for a deep pore-cleansing experience) or massaged into the skin for 90 seconds for a quick detox. For blackhead removal prep, leave this mask on for at least 5 minutes to give the clays enough time to loosen deep blackheads. When using exfoliants, it is best to avoid rough abrasive scrubs and intense chemical peels which can damage and irritate the skin. Instead, use a gentle exfoliant like this oat flour and almond flour scrub. The flours + sea salts are soft enough to use on acne-prone skin while also being rough enough to thoroughly unclog pores. Simply mix this powder with a little water and gently massage onto your face for a few minutes. Toners are a great way to prevent blackheads and acne. Unfortunately, not many people have discovered the benefits of adding a toner to their skin care routine. Toners are used after cleansing (before applying your moisturizer or treatment) as a way to remove any dirt, oil, and dead skin cells that may remain on the skin. Toners can shrink pores, balance oil production, and soften the skin. You’ll want to avoid toners that contain harsh astringents like alcohols. Astringents work by removing the oil on your skin and harsh astringents can remove all of your skin’s natural oils. This can trigger your skin to overproduce oil and create more blackheads. Instead, look for toners which contain natural and gentle astringents like rose water, witch hazel, green tea, and apple cider vinegar. A simple toner with mild astringent properties to help keep oil under control. Witch Hazel is the star ingredient of this toner because it gently removes oil while soothing the skin. Other ingredients include aloe and grapefruit seed. 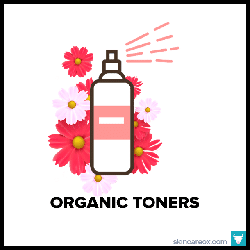 While this toner comes in a variety of scents, those with acne or inflamed skin should stick to the unscented version as fragrances can irritate the skin further. Remove oil, clear pores, and remove dead skin with this simple yet effective toner from S.W. Basics. Made with apple cider vinegar, witch hazel, as well as clary sage and sandalwood essential oils, this toner is ideal for prepping the skin for blackhead removal. After cleansing and steaming your skin, simply apply this toner using a cotton ball to your skin. Then use your favorite blackhead removal tools. A companion product to 100% Pure's Tea Tree & Willow cleanser. Like the cleanser, this toner is packed with salicylic acid, tea tree oil, neem and antiseptic herbs which work to clear dead skin & excess oil. These ingredients also have antibacterial properties which can soothe acne breakouts as well. Simply pump the product onto a cotton pad and apply to the face & affected areas after cleansing. Rose water is great for blemish prone skin for a variety of reasons. First, rose water has antibacterial properties which work to soothe breakouts and reduce inflammation. Second, rose water is incredibly gentle and safe for sensitive skin types. Additionally, rose water helps to balance your skin's pH levels; thus, preventing excess oil production and clogged pores. use daily to keep blackheads at bay. After cleansing, masking, and toning your skin, the next thing you’ll need to complete your blackhead and acne treatment routine is a solid facial treatment. The goal of the treatment is to hydrate the skin, balance oil production, and provide a layer of antibacterial protection to prevent future breakouts. Many people with blackhead & acne-prone skin types will look for an “oil-free” treatment or moisturizer; however, this may not always be the best solution. Remember, while this may sound counter intuitive, overly dry skin may be the cause of your excess oil production. Your skin is producing a large amount of sebum to replenish natural oils that may be lost via harsh skin care products, dry climate, or dehydration. The better solution is to find products which are designed to hydrate the skin while balancing the natural oils on your skin. Can't seem to tame your oily skin? You may want to look into a balancing treatment oil like this serum from Osmia. While using an oil-based serum to control oil may seem counter-intuitive, this serum is packed with oils that actually work to balance your skin's oil production. Star ingredients include black cumin seed oil, safflower oil, rosehip seed oil, and rosemary oil. Apply a 1/2 pump to your face after cleansing twice daily. This blackhead and blemish treatment can be used as a potent spot treatment or as an all-over facial serum. Key ingredients like tea tree oil, rosemary, thyme, and grapefruit peel work to minimize the appearance of pores by reducing inflammation and clearing excess oils. It comes in a handy roller ball applicator package for easy spot treatment on-the-go. Jojoba oil is an age-old tool for fighting overly oily skin. The wax mimics our skin's own sebum consistency and helps to control oil production. 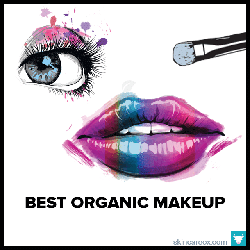 It's also packed with iodine and antibacterial compounds which are exceptional at fighting acne-causing bacteria. Castor oil contains a compound called ricinoleic acid which can unclog even the deepest blackheads. To use, simply add 1-2 drops of castor oil to 1 tsp of jojoba oil and apply nightly. Using a facial steamer a few times per week is a fantastic way to clear dirt, oil, and dead skin from your pores. Facial steamers work by spray warm steam onto your face which causes your skin to sweat. Sweating causes your pores to open and release any dirt, oil, and debris that may be trapped inside. Not only does steaming help to prevent blackheads, but it also makes it easier to extract existing blackheads since the pores are open. A simple facial steamer designed to prep the skin for blackhead removal. The Kinga steamer is easy to use, works fast, and gets the job done at an affordable price. Simply add water to the tank, turn the machine on, and wait for around 30 seconds for the steam to start flowing. A full-tank of water produces steam for about 8-10 minutes (the perfect amount of time needed to loosen blackheads). As an added bonus, this steamer comes with its own five-piece blackhead removal tool kit. If you plan on making steaming a regular part of your skin care regimen (to clear dirt, makeup, and oil from pores), then you may want to invest in a high-quality spa steamer like this one from Panasonic. A full-tank produces a strong stream of steam for 6 minutes (who doesn't have time for a quick 6-minute facial?) and it takes just seconds to heat up. The steamer produces deep-cleansing nano-steam which can open pores and soften even the most stubborn blackheads. It's also quite nice looking and sturdy. Unlike the other steamers mentioned, this steamer can be used as a facial treatment, towel warmer, or as a room humidifier. It has a larger tank that produces steam for up to 30 minutes. You can choose to steam your face for a few minutes before blackhead removal or warm a towel and use it as a direct compress after cleansing. This steamer also comes with a 5-piece stainless steel blackhead extractor kit. A great little multi-functional tool for a variety of skin needs.